Heading to Boston with the whole family? You can all enjoy this historic city together by packing your itinerary with these fun activities for all ages. Boston’s rich culture attracts a steady stream of adult tourists. But that doesn’t mean kids can’t enjoy it, too — even the ones who roll their eyes at the mere mention of “history.” I live outside of the city, and my family — which includes a preschooler and a toddler — relishes every chance we get to gallivant around Boston and explore new neighborhoods together. 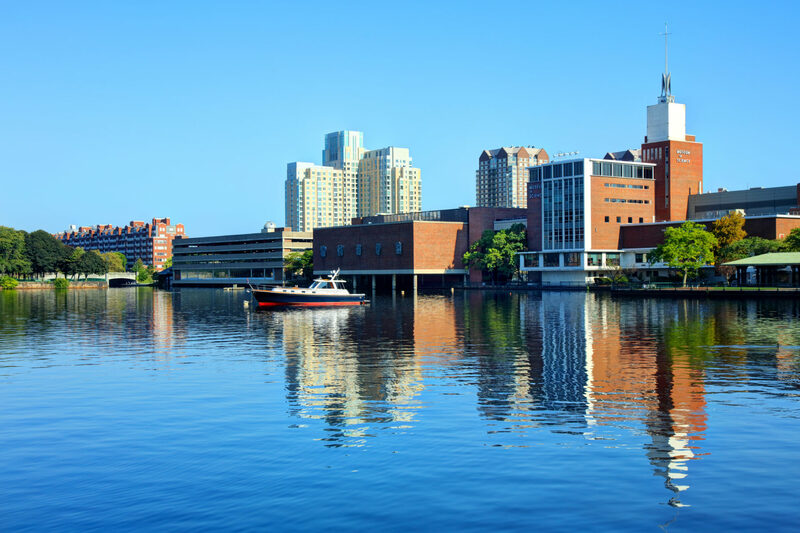 That’s the beauty of Beantown as a family vacation destination: it offers pockets of fun and adventure for all ages, from little kids to grandparents and everyone in between. 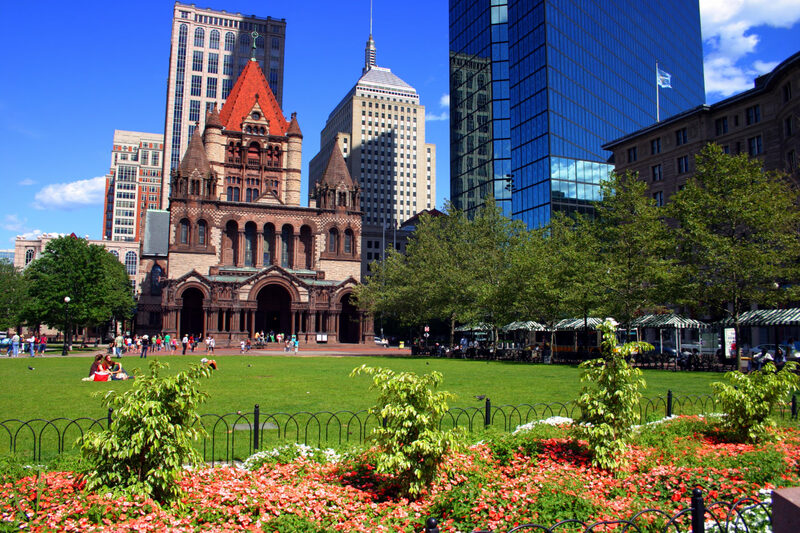 Copley Square, located in Boston’s Back Bay neighborhood, beats with the energy of commuters, tourists and students. 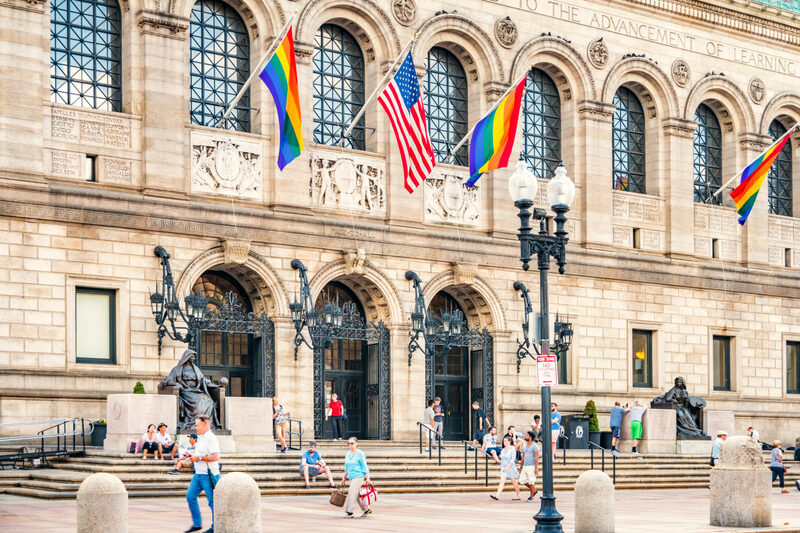 You can admire the beautiful architecture of Trinity Church, the Central Library and more as you wander along the famed Freedom Trail. If the kids get antsy, head into the library. The recently renovated children’s room is immense, bright and airy, and the calendar is chock full of drop-in events. You can enjoy afternoon tea (or a cocktail, for the grown-ups) in the idyllic, Roman-centric courtyard. Or grab a cup of coffee and people-watch on the front steps while the little ones jump around and blow off steam. From the library, you’re only a few steps away from shopping and dining on Newbury Street. The massive Niketown is a must-visit for sneaker and sports aficionados, while Mulberry Road boasts a fantastic selection of children’s accessories and clothes. If you’re looking for a sit-down meal, Stephanie’s on Newbury offers an expansive patio and a family-friendly menu that you can enjoy without falling prey to a large chain restaurant. Later, get some fresh air and walk to nearby Charles Street for dessert. My family often finds ourselves at J.P. Licks for ice cream cones that last us the entire walk to the Boston Public Garden. Across the river in nearby Cambridge, you’ll find the Harvard Art Museums: a collection of curated galleries nestled within Harvard Yard’s iconic greens. Take a winding stroll through the exhibits for as long as the family can last (kids under 18 get free admission). 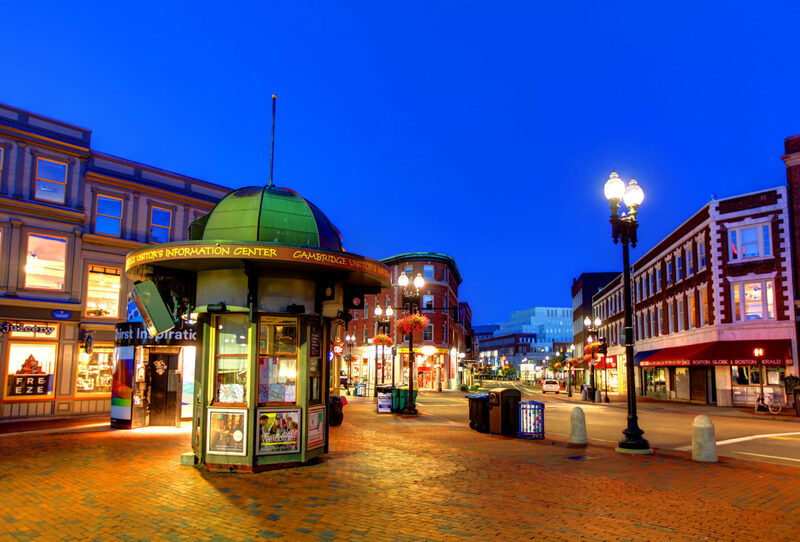 Afterward, head over to the bustling Harvard Square. When the weather is nice, musicians and other street performers dot the sidewalks. And The Curious George Store, a yellow and red beacon in the Square, is well worth a visit. Kids will find plenty of entertainment among the floor-to-ceiling murals, books and memorabilia featuring the playful monkey; plus, adults familiar with the iconic book series will love the trip down memory lane. If you need to nosh, my personal favorites are the grilled pizza at Cambridge, 1 on Church Street. I also love the immense patio at The Sinclair, a live music venue with an incredible bar and restaurant. Both locales are kid-friendly and offer food made from simple, high-end ingredients. You’ll also find a varied beer selection for the adults and plenty of room to spread out. 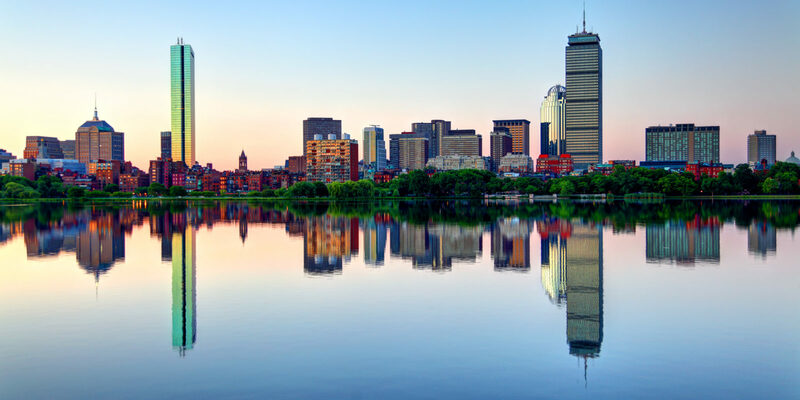 Boston’s Museum of Science, situated on the Charles River, includes an indoor zoo and enough interactive, hands-on exhibits to keep everyone engaged for an afternoon. The Discovery Center, located within the museum, offers programs and activities designed for kids up to eight. For teenagers and adults, the Planetarium runs a wicked popular 40-minute light show, “The Beyoncé Experience,” every weekend evening. Elsewhere in the museum, you’ll find the world’s largest air-insulated Van de Graaff generator — a pair of giant spheres that allows visitors to experiment and learn about indoor lightning bolts in an electrically entertaining way. Finally, hop on an iconic Duck Boat parked right outside the museum for a unique land-and-sea tour of Boston. I loved riding those boats when I was a kid; now, it’s a trip to ride them with my own children and experience the city through their eyes. If you head to Cambridge, save your pennies and jump on the “T” (Boston’s public transportation system). Grab a window seat — the Red Line train offers an incredible blink-and-you-miss-it view of the city skyline and the Charles River.